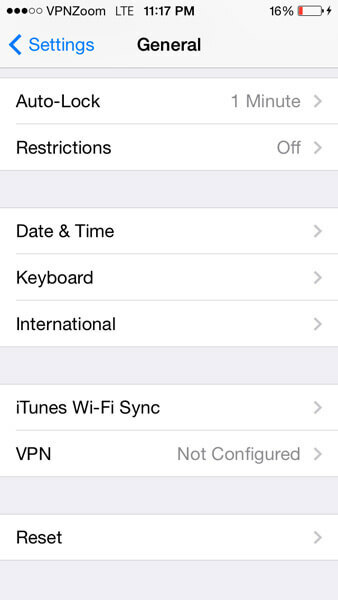 The following guide shows how to setup a L2TP VPN connection with your iPhone or iPad. If you have any questions about setup please contact our support team. 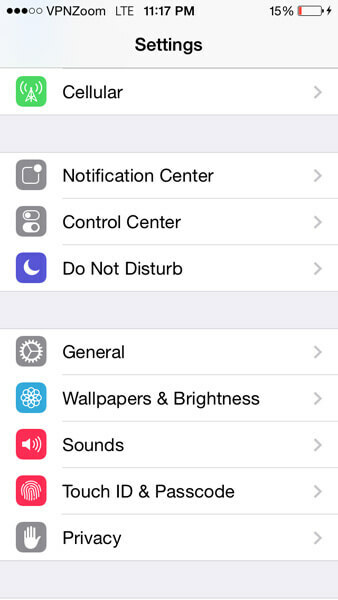 Step One: Click on “Settings” from your iPad/iPhone. Then click on “General”. Step Two: On the “General” screen scroll down and select “VPN”. 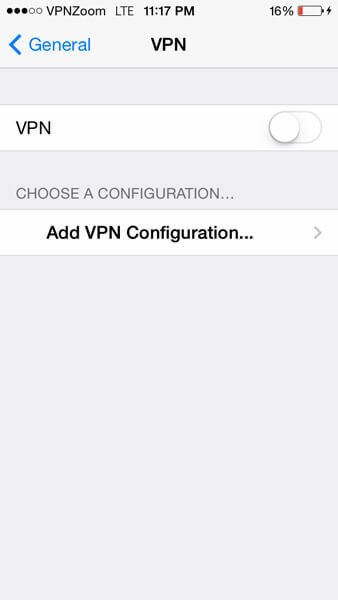 Step Three: Now click on “Add VPN Configuration”. Step Four: Select L2TP. Enter a description for the VPN connection. Enter the server address (A complete list of our VPN servers can be viewed here.). 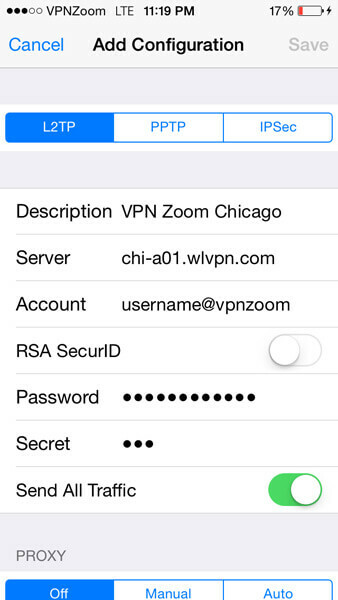 Enter your username (note: All VPN Zoom usernames end with @vpnzoom ex. username@vpnzoom). Enter your password. In the secret field enter “vpn” without the quotes. Make sure “Send All Traffic” is enabled. Click on “Save” to save the settings. 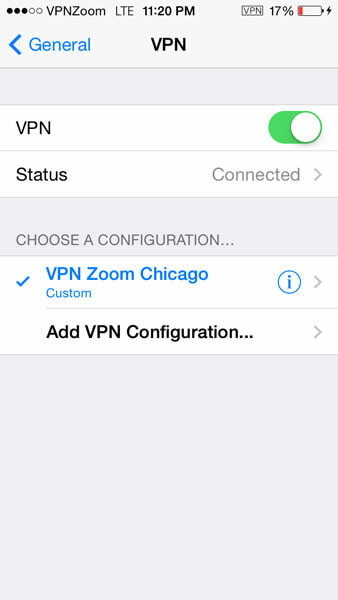 Step Five: Once back at the previous screen click the “VPN” toggle to connect to our VPN servers using L2TP. 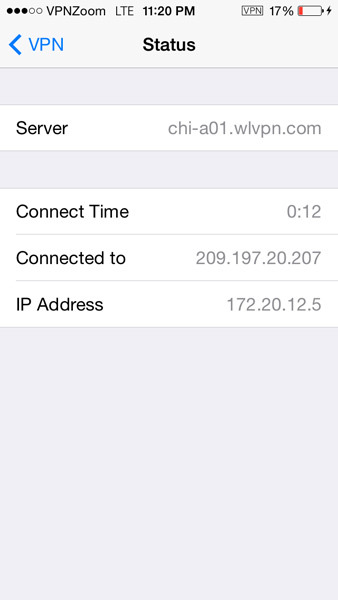 Step Six: You are now connected to our VPN servers using L2TP on your iPhone/iPad. Browse the Internet anonymously.